The San Diego area (where you’ll find the San Diego Zoo, San Diego Zoo’s Safari Park, SeaWorld San Diego, and LEGOLAND California) is about 1.5 – 2.5 hours away (depending on traffic) from the Orange County/ LA area attractions (Disneyland Park, Disneyland California Adventure Park, Universal Studios Hollywood, Knott’s Berry Farm). October is “Kids Free Month in San Diego” – perfect for Fall Break family travel getaways! To save money on your Southern California Vacations, consider booking through Get Away Today! That’s who we use to book our Southern California theme park trips and so we’re thrilled to partner with them as an affiliate! They really make the whole thing so easy, as well as being great about getting you the best deal! You can even start planning for next year’s family trip with their great layaway plan! Plus, use our exclusive Get Away Today coupon code: MOMENDEAVORS to save even more. You can book online HERE or call their agents at 855-GET-AWAY (and be sure to mention the code!). And speaking of Get Away Today, they have generously offered an AWESOME giveaway to one of our readers! How awesome is that?! I’ve teamed up with some other Arizona Bloggers who all LOVE a good SoCal vacation to and we are SO excited to give you a chance to win some fun time away at the awesome parks with YOUR family! 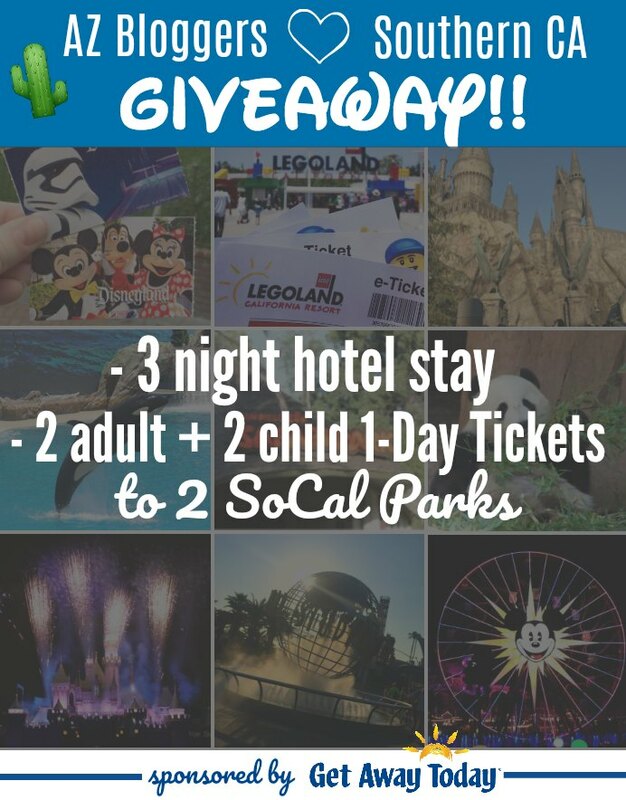 *Parks winner can choose from: Disneyland Park, Disneyland California Adventure Park, Universal Studios Hollywood, Knott’s Berry Farm, LEGOLAND California, SeaWorld San Diego, San Diego Zoo, San Diego Zoo’s Safari Park. (The winner will have 1 year to use the package). Enter using the form below! Giveaway runs through 10/2/2017! GOOD LUCK and happy SoCal traveling! favorite place to visit is legoland. I have never had the pleasure of visiting Southern California. 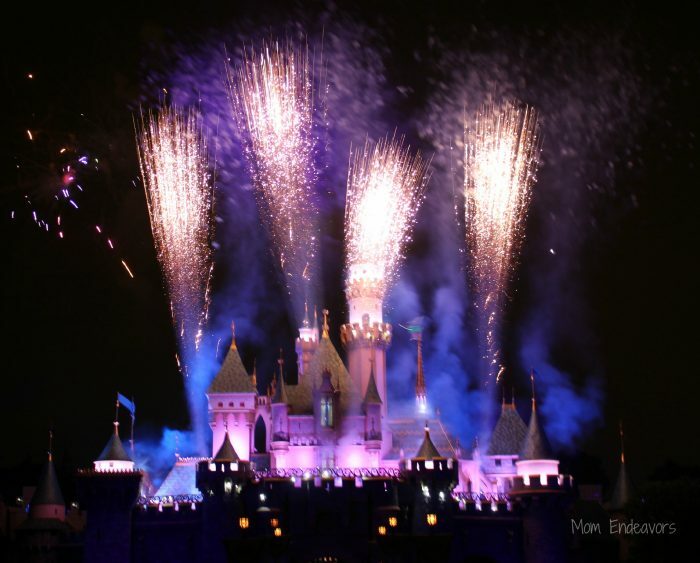 I imagine Disneyland would be amazing. I have to say Disneyland, but I haven’t been to Legoland yet. I’d love to take the kids there! 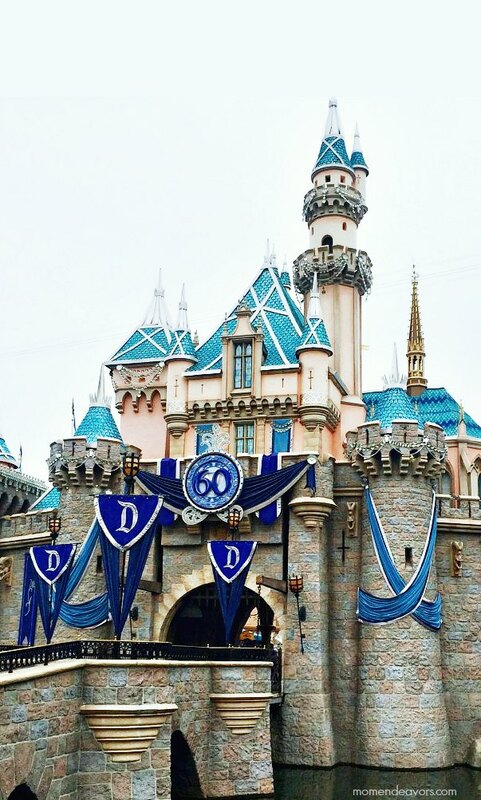 Disneyland want to take my younger grandkids.. Happiest Place on Earth!! Disneyland and California Adventer would be great choses. This is a great contest. Children will love it. Aside from Disneyland, I like San Diego because I have a lot of family there!